We are delighted to announce that starting today, Smartcat is free both for freelancers and for companies, including translation agencies. Licenses are now a thing of the past. This means that our corporate clients can invite an unlimited number of users – managers as well as in-house and freelance translators – to contribute to their projects. Here is a quick guide to your most burning questions about this change. Now you can add as many projects, and as many users to your projects, as you want in Smartcat. We have also opened up access to our database of freelancers from 100 countries. Free features include: translation memory, terminology management, quality assurance (QA Check), built-in industry dictionaries, and multistage workflows (for example, translation>editing>proofreading). Learn more about the professional translation tools available in Smartcat on the official website. What do I still need to pay for? 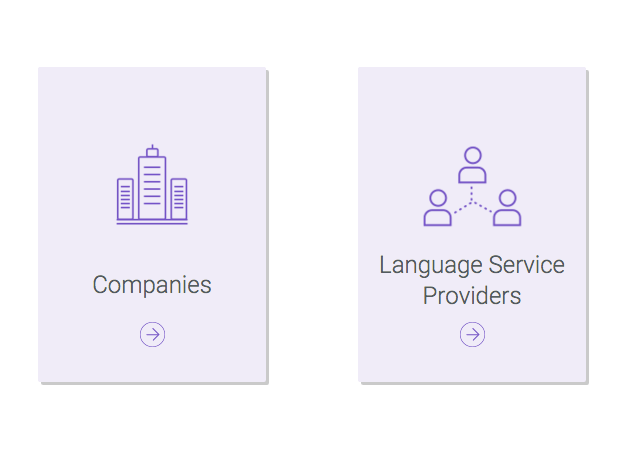 Machine translation, OCR, premier-tier technical support (response time under 2 hours), a dedicated account manager as your single point of contact, private cloud hosting, the Server version, and custom development remain for-pay. Details about Smartcat rate plans and features can be found here. What about new features in Smartcat for finding and working with freelancers? Translators, editors and proofreaders can now be found via Smartcat. 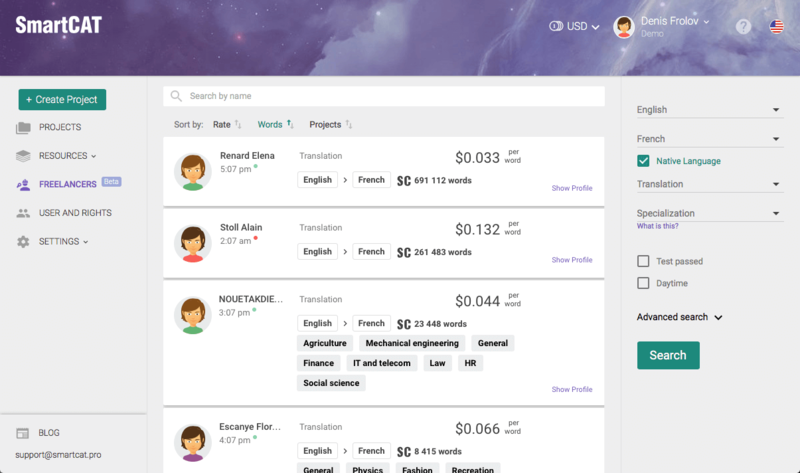 The freelancer marketplace allows clients to search for freelancers, contact them, and invite them to work on translation projects – all in Smartcat. You pay freelancers at the rates indicated in their profiles. You coordinate directly with the freelancers regarding deadlines, pay for their work, and communicate with them about the project. A pleasant bonus: you can track task progress online in real time. Smartcat shows how much of each stage has been completed and how much remains. Over 50,000 language professionals – translators, editors and proofreaders – have already registered on Smartcat. We're as busy as ever building and improving Smartcat. If you have any recommendations, pointers or suggestions, we are always glad to hear from you at hello@smartcat.pro.